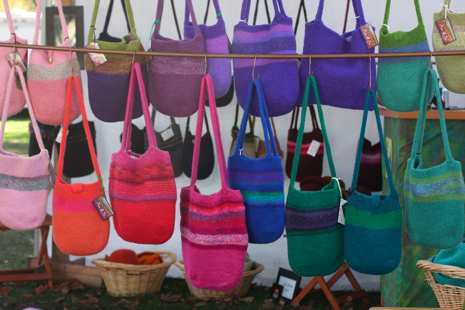 Sierra also makes boiled wool hats that she grouped by color in simple baskets for an eye-catching display. 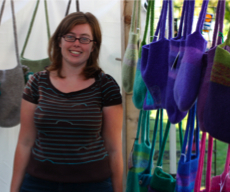 Find her in booth 11 today until 5 p.m. Stop by for the a lovely fiber color tour. Okay, I’m exhausted and I’ve probably overwhelmed you with so many posts from this art festival. I’m going to stop now because it’s time to go back to the festival. I’ll probably do a flickr gallery later, so stop back to check that out. Enjoy the day.